Are you puzzled about how to capture the market with your new business? Trying some of the ways did not end up being a successful venture. Now you are looking for some trusted and tested ways. Though at present when the world is digital you can’t ignore the advantage of the print media promotion. Being a tangible tool, it has its own appeal. Most of the consumers like it and even it is back with a bang as preferred by marketers too. 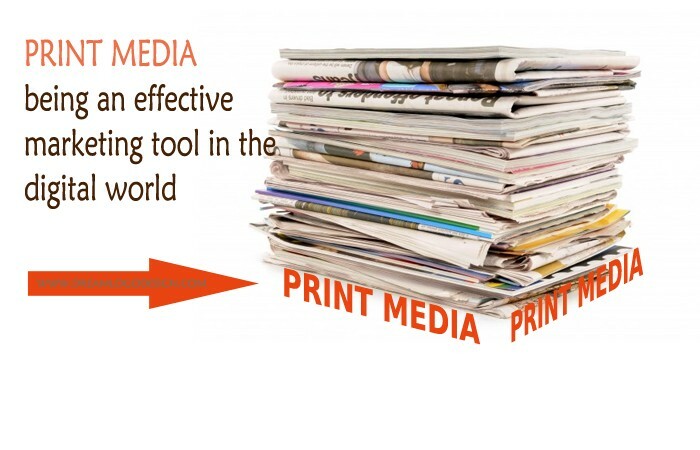 Even after the huge popularity of digital media, whereas print design still an essential part of the marketing strategy. And if you are still thinking does print media marketing work? Then surely the answer is Yes. Best Print Design Services promotions are very much alive. Variable printing has been in use earlier also is not completely new but is effective in conveying your brand message. It’s an advanced technology that’s lucrative too. The variable print design enables you to tailor every part of the print media by altering many of the elements of the piece though personalizing. For instance, if you are up for email campaigns and individualization each piece with the name specific for every recipient. Or you can design different coupons with particular serial numbers, to track the use of the persons use them. When this technique employed with variable images. If you talk about business cards, you can create a series with different backgrounds. A personalized print design has more appeal and effect than a customized email because the recipient can understand the extra effort that you have incorporated to tailor the medium. So the target audience can relate to it feeling special due to the personal touch. With the advancement of mobile phones and tablets, Print Design Company changed interactively. Presently, QR codes and NFC technique makes it viable for the print media to reach to the consumers of the website. QR codes can be optimized with colors and shapes to be incorporated in the print marketing patterns and to provide you the chance to add the brand elements. NFC (near-field communication) is an advanced technique that is adaptable for all the devices, but it can over the time replace QR codes. The miniature microchip used in NFC helps to send a signal to the smaller devices like mobile phones without the requirement of scanning, the NFC microchip will immediately connect to the website.